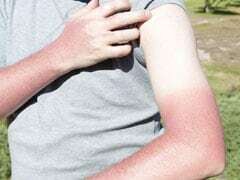 I develop rashes and itchiness in the sun, what do I do? Home » Frequently asked Questions on Health » I develop rashes and itchiness in the sun, what do I do? Q: When I sit in the sun or sit cross-legged I develop a prickly feeling, what should I do? My skin is dry so I apply coconut/mustard oil to my body after bath everyday. After doing exercises I get rashes over my body and itching with redness. Cold water gives some relief but in the cold weather too I suffer. Please tell me what to do? A:From your complaints it appears that you are having Photosensitivity. You better avoid sunlight. You can use sunscreens containing Zinc Oxide and antihistamines like loratidine. For your dry skin you can use moisturising creams containing Vit E and aloe. You can consult nearby dermatologist who will be able to do relevant investigation like absolute eosinophil count etc.